Skip the gym and get a low-impact, calorie-burning workout from your favorite chair—then fold this exercise cycle up for compact storage or travel. 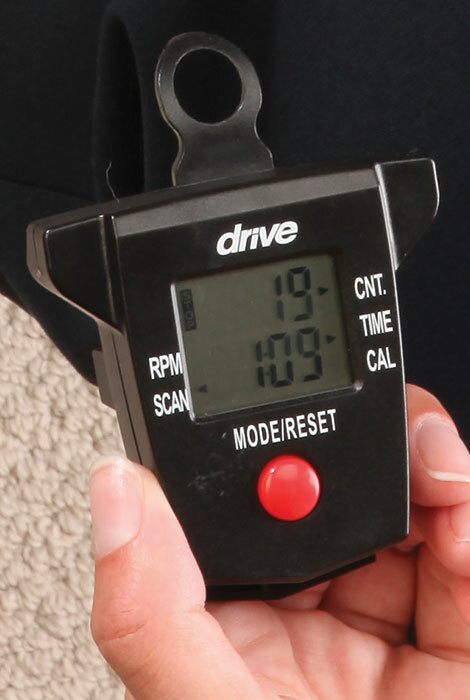 Like your own personal trainer, the folding digital pedal exerciser's digital readout displays time elapsed, counts reps per minute (RPM) and shows calories burned. Digital screen removes for optional hand-held display and better visibility. 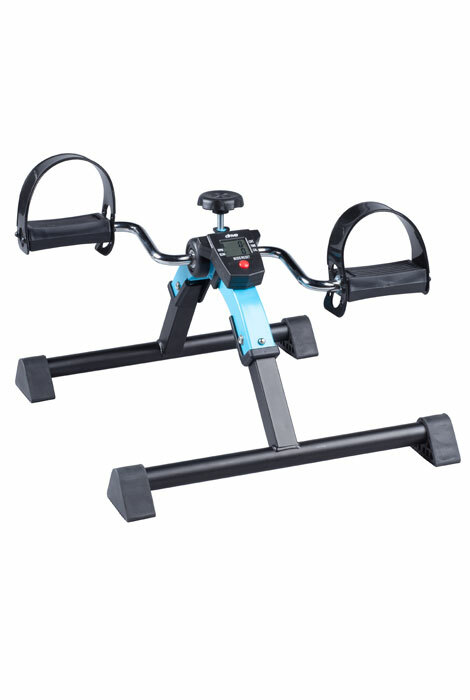 Easy-adjust tension lets you vary intensity, and versatile design works on tabletop for upper body toning. Quality design includes heavy-duty solid steel frame with durable 4" wide x 1 1/2" deep plastic pedals (pedal’s highest point is 13" from floor or tabletop). 16" wide x 11" high x 17 1/2" deep; folds to 16" wide x 7" high x 11" deep; uses 1 AAA battery (included). 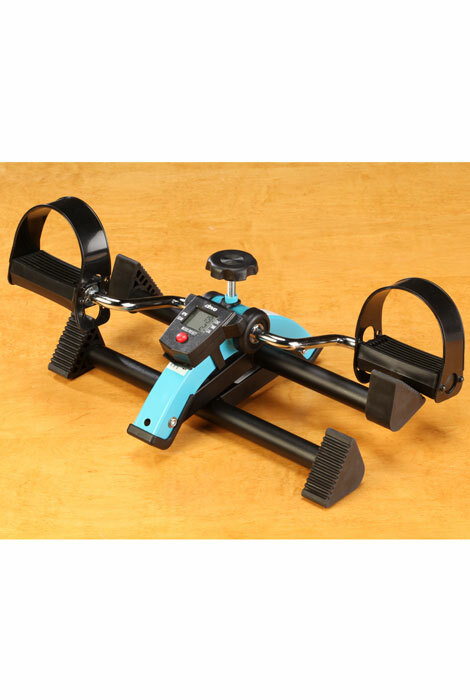 No assembly required; simply unfold the portable pedal exerciser and enjoy your workout! WOW Love it works great got one for my mom she loves it to. Love the price and the product. I use my pedal bike everyday since I've received it. I'm riding right now as I'm typing this review. I need the exercise but am afraid of falling off bike. Can do this sitting down. To help my husband strengthen his legs. I think it will do the job as my neurologist recommended and hope it is as easy to use as it looks. to exercise in my apartment no matter the weather.